This book, with its 50 step-by-step techniques and 50 sets of "before" and "after" images, has been written to provide you with the knowledge and skills that you need to use Photoshop 7 to edit your own digital photographs. All the techniques are applicable to images created with scanners or with digital cameras. They are for those just beginning to learn more about working in the "new digital darkroom." They are for those who have worked in a traditional darkroom for many years and now want to work digitally as well as for experienced Photoshop users who want to learn more about Photoshop 7 and the digital photo techniques that can be found in this book. Many years ago, someone told me that all good things in life that are worth having; require effort — having Photoshop 7 skills is one example of this axiom holding true. 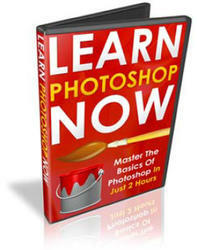 Photoshop 7 skills don't always come easy, and so you'll have to work to get them; however, the techniques and the photos you will find in this book should make it a relatively painless process that you should enjoy. In an effort to help you become successful with the last 44 techniques, the first six techniques in the first chapter have been written as "boot camp" techniques. These techniques will help to get you and your equipment ready to complete the remaining techniques. I highly recommend that you complete all six of the techniques in Chapter 1 before trying any of the other techniques. After you've completed Chapter 1, you may choose to do the other techniques in any order that you want. Before jumping into the techniques, here are a few additional things to consider first. If your monitor is not properly calibrated, you will likely not see the results that are expected when you use the techniques and settings suggested in this book. Likewise, if you xxv have not properly set up your printer, your prints will not turn out to look like the image viewed on your monitor or as intended. Completing Technique 5 and Technique 6 will have you well on your way to working in a color-managed environment. Having ready-access to the digital photos on the CD-ROM will save you time and make it easier to do each of the techniques. If you have room on your hard drive for these photos, I recommend that you copy the entire "\ps7techniques" folder and sub-folders to your hard drive. Any time that you copy files from a CD-ROM to a hard drive; the files will be tagged with a Read Only attribute. This is not OK, if you want to keep those original files for later use. However, if you want to save your work over those files, you will have to remove the Save Only attribute. To do so in Windows, right-click on a folder or file to get a pop-up menu. Select Properties to get the Properties dialog box, then uncheck the Read Only attribute. You can change attributes for a single image or an entire folder of images and/or folders all at once. To fit all the photos that are needed for the fifty techniques on the Companion CD-ROM along with a trial version of Photoshop 7, the "after" images have been saved as compressed .jpg image files. To get the best possible prints or to view the best possible images on your screen, you should complete each technique and use the completed images instead of the .jpg versions of the "after" images found on the Companion CD-ROM. Photoshop is — big — way big! It can take years for professionals who work with it all day long, every day, to become proficient with it — and then, there are still many features that they do not know how to use or may not even be aware that they are there! If I had to make a single recommendation about how to quickly learn to successfully use Photoshop 7, it would be to learn all about those few features that you need to use to get your work done — and ignore the rest. WHAT COMPUTER HARDWARE AND SOFTWARE WILL YOU NEED? When it comes to digital image editing, the axiom "the more the better" applies. Digital image editing is an activity that can consume lots of disk space, RAM, monitor pixels, and computer processing-cycles. Fortunately, the computer industry has been good to us these past few years as the cost of having power and storage to spare has dropped sharply. Powerful computers with lots of RAM, enormous hard-drives, and quality monitors are getting less and less expensive. At a minimum, you'll need a computer that meets the requirements specified by Adobe for use of Adobe Photoshop 7. If you use a computer that matches Adobe's minimum requirements, you may find you'll enjoy doing the techniques in this book much more if you have 128MB or more of RAM, and 500MB or more of available disk space. The cost of adding additional RAM or adding an additional hard-drive can be relatively inexpensive in today's competitive computer marketplace. An 80-gigabyte hard-drive sells for under $130 and depending on the type of RAM you need, you can buy 128MB of RAM for as little as $60. If you have a relatively slow processor, adding additional RAM can significantly increase the processing speed and help you to avoid the long waits that can occur when digitally editing images. If you spend much time editing digital photos, you'll find the investment in more RAM to be more than worthwhile. Besides having a fast computer with enough RAM and hard-drive space, a re-writeable CD-ROM can be one of the most useful (and in my view essential) peripherals for those doing digital image editing. A re-writeable CD-ROM allows you to easily back-up your digital photos, to share them with others, and to make space on your hard-drive. Re-write-able CD-ROM drives can be purchased for under $125. Remember that when you begin to store your digital photo collection on your computer hard drive, it is possible to lose everything if you were to have problems with your hard drive. If you value your digital photos; you need to back them up on to a removable storage device of some type such as a CD-ROM. 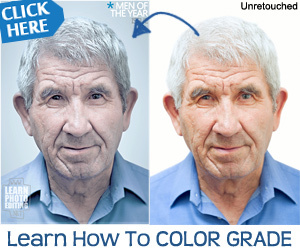 The monitor and graphics card you use is also very important to successful and enjoyable image editing. If you primarily work with images that are 1,600 x 1,200 pixels or smaller, you may find it acceptable (or possibly not) to work on a 14" or 15" monitor with 800 x 600 pixels. If you are working on larger images, you'll find that a 17" or larger monitor with at least a 1,024 x 768 pixel workspace to be far more useful. While there are larger monitors than 19" monitors, I have been extremely happy with the 19" monitor that I use. It is big, but not too big, and that is good, as I still have some desk space left. You can also buy graphics boards and use too monitors at once, which is becoming increasingly common. Having two monitors lets you put your images on one screen and all the palettes on the other screen. For those of you that might want to ask the question: Is it better to use a PC or a MAC? My answer is: The computer that you have or know how to use is the better one. Without a doubt, there are differences between the two platforms, but there aren't any clear-cut reasons why the PC or the MAC is better at doing digital image editing. Therefore, have it your way and enjoy using the computer that you will be most comfortable and successful using — that will be the best one for your digital image editing. The great news for MAC users is that Adobe has historically offered both PC and MAC versions of all their products. The differences between the PC and MAC version of Photoshop 7 is minimal. The MAC screen-shots will look slightly different from the PC screen-shots shown in this book. Also, the two often-used keys, Alt and Ctrl on a PC's keyboard are known as the Cmd and Options keys on the MAC keyboard. Otherwise, there are only a few significant differences (color management options being one of them) you need to be concerned about. In short, this book is equally useful to PC and MAC users.